I'm relatively new to tea, being a coffee lover, but recently I've been embracing new herbal teas and to my surprise have discovered that Redbush Tea is my new favourite hot drink of choice! I'm thoroughly addicted and the fact that it's caffeine free means I can drink it right up until bedtime. But Matcha Tea is new to me. 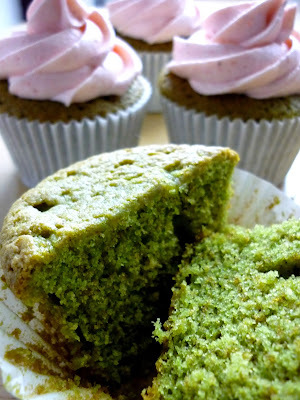 I've heard of green tea but I've never tried it so when a client asked me to make her wedding cupcakes matcha flavoured, I knew I'd have some experimenting to do! 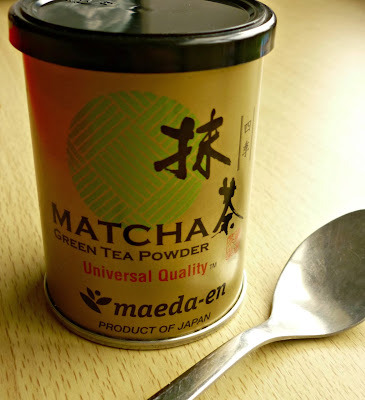 Luckily in Nottingham we have international supermarkets on tap and the Oriental Mart in Nottingham sold the Matcha powder which is imported from Japan. 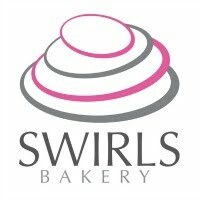 The guy in the shop was super helpful and even explained to me how to use it in baking which was an added bonus! 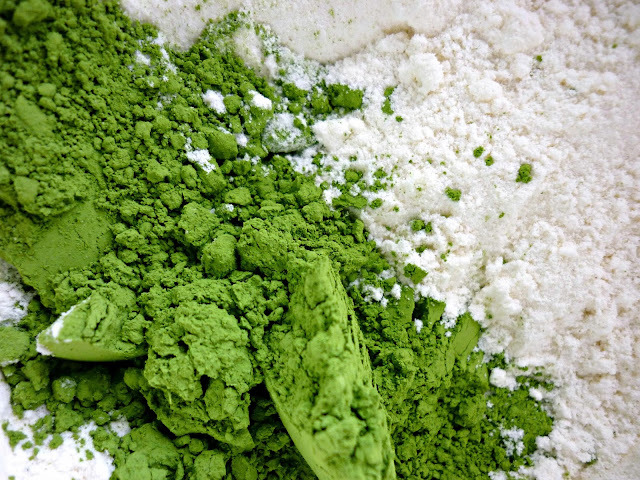 Matcha tea is made from green tea leaves ground into a very fine powder. It's known as a 'super tea' and has a glorious green colour which is just DIVINE (see photo below). It pairs well with strawberry flavours and the pale pink and green colours make a lovely combination. I used a relatively simple method for my cupcakes and just replaced 2 tablespoons of flour with 2 tablespoons of matcha powder and this worked really well. The colour held up well and the flavour shone through - I still added a dash of vanilla extract to my batter just in case. I made my frosting using strawberry puree and just added a few tablespoons of the cooled puree to my usual vanilla buttercream recipe (minus the vanilla) and added a teaspoon of strawberry extract just to kick the flavour up a notch. Adding the puree to your buttercream means the flavour is much more concentrated and you don't have to add any colouring as the puree makes the buttercream a gorgeous pink all on its own. I used a very simple cupcake recipe here which is equal measures of eggs, flour, sugar and butter and I genuinely believe this recipe makes the best vanilla cupcakes. I guess you could almost convince yourself that these are healthy cupcakes but either way they are so easy to make and if you're a fan of new flavours then you should try them! 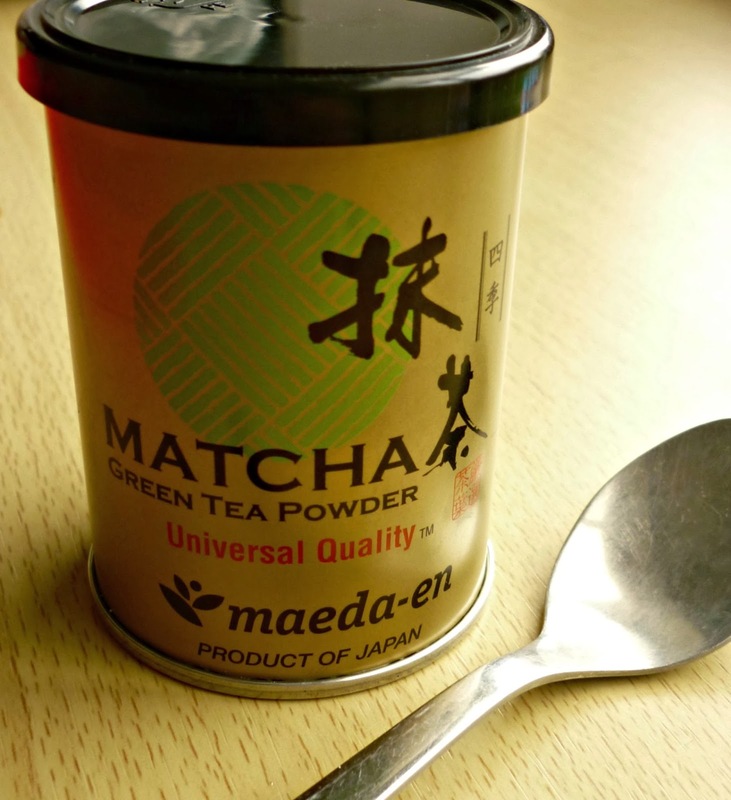 The real matcha tea powder is pricey but worth it in my opinion (I paid about £9 for a 28g pot). 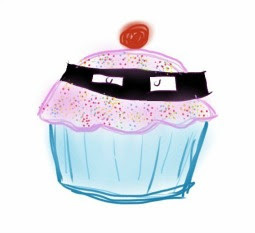 Preheat your oven to 180C/350F and line a cupcake tins with cases. 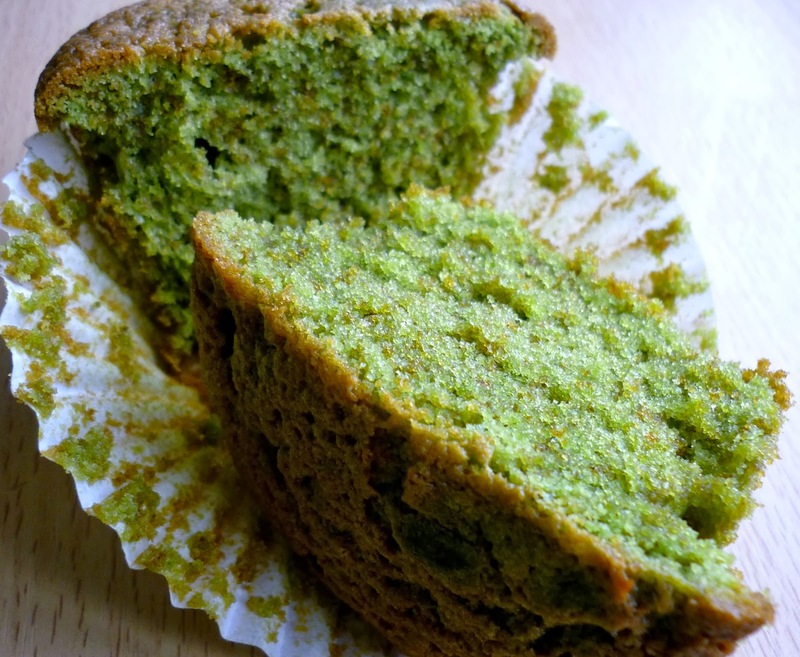 In a medium bowl, replace 2 tablespoons of flour with matcha powder and mix well. In a separate bowl, cream butter and sugar until pale and fluffy and add eggs one at a time alternating with a spoonful of flour to prevent curdling. Add remainder flour and vanilla extract (if using) and continue to mix for one minute. 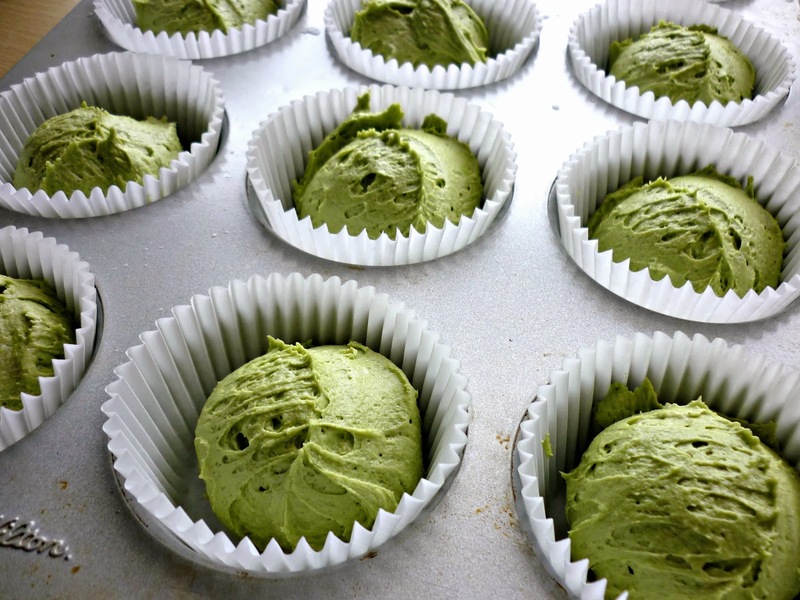 Using an ice cream scoop, scoop batter into cupcake cases. I got about 15 cakes from my batter as a guide. Bake for approx 20 mins testing with a toothpick to see when they're done. Remove from oven and leave cakes to cool in cases for a few minutes before removing onto a wire rack to cool completely.